English/Norwegian melodic rockers SKYSCRAPER will release their long awaited debut album, ‘Elevation‘, on September 8th worldwide via Ghost Dancer Music/Cargo Records. This dynamic band has been taking critics by storm with their inimitable brand of melodic hard rock. 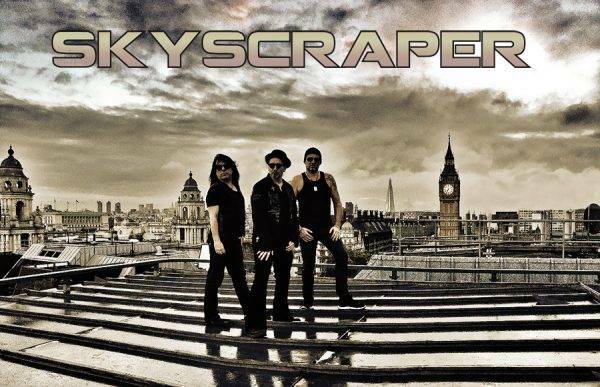 SKYSCRAPER‘s powerful and heavy demeanour is a fresh take on a breed of music that’s been the foundations of rock ‘n’ roll for many years. A new video teaser can be viewed below. With so much experience between them it’s easy to see why the album, which has been two years in the making, is regarded as essential. Dave Boyce: “We loved making the album and we can’t wait to get SKYSCRAPER out into the live arena and see what the fans think. We know it’s going to be one hell of a party once we hit the road”. Lee Small: “It’s been a great journey so far and we’ve had some amazing reaction from industry people which means a lot“. Tor Talle: “We also have to thank producer Martin Kronlund for helping us put the album together and introducing us to Swedish session drummer Imre Daun, who will be joining us live. He brought great energy and style to the album“. Dave Boyce (Bass) – Dave is the former bass player for Airrace and The Quireboys. In some quarters SKYSCRAPER has been compared to Hughes/Thrall, and Bad English, which sees the band in esteemed company as they release this captivating debut album. Malcolm Dome (Classic Rock / Metal Hammer) “Melodic hard rock never gets dated. This album (Elevation) is a fine example of exactly why the genre remains as vibrant as ever. It’s classy, creative, instantly catches your attention, and gets better with every play. This is a modern masterpiece that should be acclaimed alongside the great debuts of the past“.